The Davis Cup by BNP Paribas arrives in Wales next month as part of a national Trophy Tour of Great Britain. The famous Trophy will visit the National Eisteddfod in Abergavenny, the Anglesey Show, and tennis clubs in Rhiwbina, Llanelli, and Ruthin. 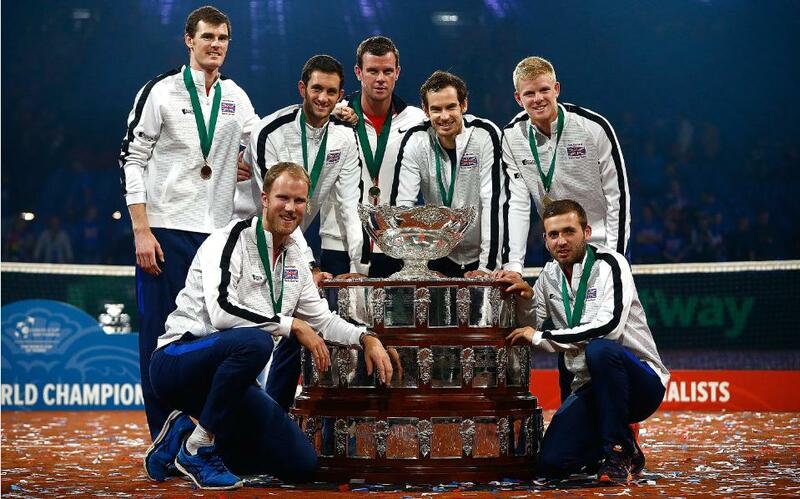 Following Team GB’s historic win against Belgium in the 2015 Davis Cup Final, when Britain lifted the Trophy for the first time in 79 years, the Lawn Tennis Association (LTA) wanted to celebrate this momentous occasion by delivering the Davis Cup Trophy Tour across the country to thank the tennis community including players, coaches, venues and volunteers who supported the team on its incredible journey. The Trophy Tour is designed as a celebration and also a way to inspire a new generation to pick up a racket and get involved in tennis. August 10: Ruthin Tennis Club.(5-8pm). The events will give people a rare opportunity to see and be pictured with the impressive Davis Cup Trophy. There will also be a range of fun tennis activities at the venues. The National Eisteddfod and Anglesey Show are not free events, and visitors are asked to check local details. Peter Drew, chief executive of Tennis Wales, said: “Great Britain’s Davis Cup win was a fantastic achievement, and the Trophy Tour is a great way to thank the supporters, volunteers, players and club officials who are the backbone of British tennis. “It’s tremendous to have the Trophy in Wales for five days and for it to go on display around the country. Leon Smith, Davis Cup Captain, said: “Winning the Davis Cup was an incredible moment for me and all the team. Lifting the Trophy on the court in Ghent was an amazing feeling and I’m eager to ensure a lasting legacy following this historic achievement. “Taking the Trophy across the country and being able to share this momentous achievement with the nation is an important part of this legacy. I can’t wait to see everyone’s reaction when they see the Davis Cup and sharing a bit of that passion we had on court will hopefully encourage others to get involved and choose tennis as part of their everyday lives”.